People have long used 5/8" spade bits to widen the inner diameter of 1/2" PVC so that one could hammer a barrel in. Spade bits are not designed to widen an orifice, and consequently, they work horribly. Most spade bits have spurs rising from each edge that aid in drilling holes into solid material. These spurs cause the bit to skip and jump around, though, when drilling into holes. 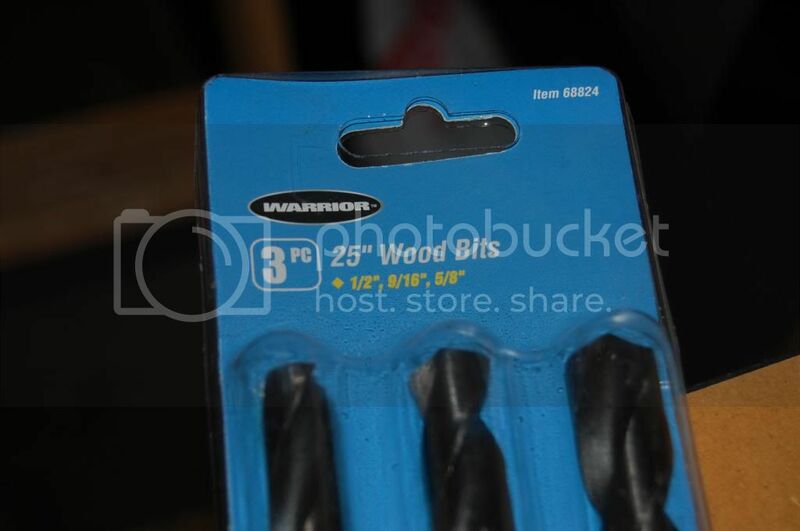 I looked around for normal drill bits that are 5/8", and I found that almost all hardware stores carry normal bits in 5/8". 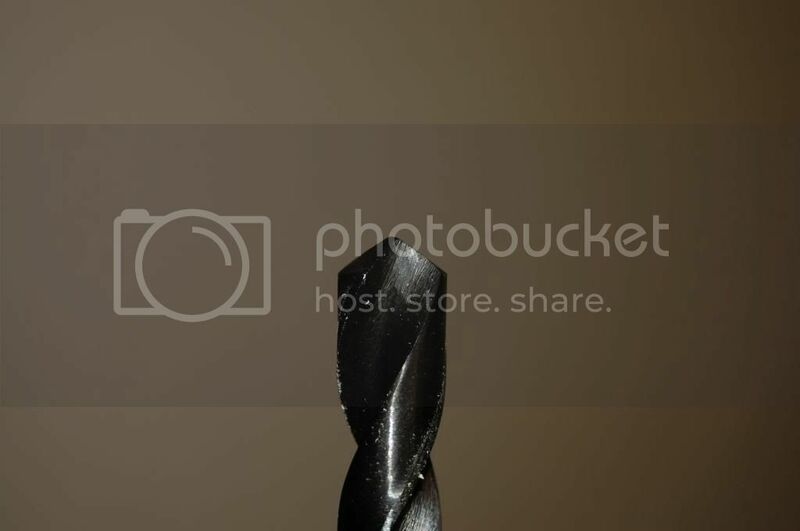 What makes a "normal" drill bit so easy to work with when drilling into pipe is its head. It automatically burrows in and centers itself. Instead of the rough jagged widening that my spade bit would do, this bit widened the PVC almost as smoothly as a lathe would. I got this set of bits at Harbor Freight Tools for $12.99, I believe. Well worth it, in my opinion. These also work great for making CPVC speedloders, which involve the same widening. Another interesting thing is that these bits are twenty-five inches long, so you could sheath a whole CPVC barrel in PVC if you wanted to. Edited by DartSlinger, 17 July 2013 - 12:20 AM. How big is the back end of these bits? My drill only has a 1/2" chuck which limits the size of things it can grip. 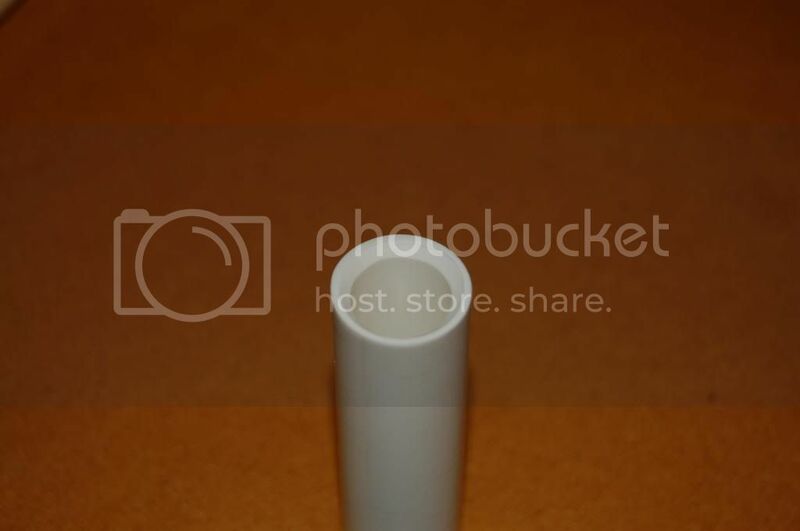 You can also search conduit PVC for the right size. The tolerances are less so chances are good you'll find a fit you're looking for. I actually used a dremel on my first hopper. Worked great for that smooth bore. I have that same set. It uses a 1/2" chuck. Something to take care with on this set: the shaft of the bit is screwed in place: it's not a solid piece. This can cause problems if you tend to reverse the drill when it gets stuck. I discovered this the hard way. Edited by Carbon, 17 July 2013 - 11:53 AM. I use spade bits backwards. Slide the port to be widened along the shaft of the bit, chuck it in to the drill, spin up and pull through backwards. These are all I use for pipe reaming, they work perfectly for inside reaming, so long as you hold it straight, or nest a few sizes of PVC to keep it centered, but outside reaming is a bit iffy, usually is a bit rough. They work on any size of PVC up to 1.25", and don't require any use of power tools. The great part about them is you can nest 1/2" CPVC in 1/2" PVC or any other size pipes that fit, and it'll make a completely smooth ramp between both pipes. Some people prefer to use manual methods to get a steeper ramp, but I haven't had any issues hoppering darts with barrels I reamed. Edited by Righteous_Fondue, 17 July 2013 - 02:45 PM. Actually, my set has a 3/8" cutdown shank, so it isn't screwed in, it's one solid piece that has been cut down on the shank. At least that's what I think cutdown means. Schmee, since these have a 3/8" shank they should work with all drill chucks. I've seen those before, and those are pretty neat. What I'm doing with these, though, isn't reaming. I'm widening the inside diameter along the whole length of the pipe, so those aren't really applicable. Edited by DartSlinger, 17 July 2013 - 06:18 PM. Be careful with these types of bits, they can bite into the plastic very hard all of the sudden. You're right, they're 3/8"....the memory is the first thing to go. However, they're absolutely not one piece of metal: I had one screw apart on me when I tried backing it out of a hole I was boring in a piece of 20" elm. Edited by Carbon, 17 July 2013 - 08:26 PM. You are definitely correct on the fact that spades aren't for widening holes; they're for creating holes in flat material, such as a plank of wood, so I was surprised to see they worked for this purpose in the first place. 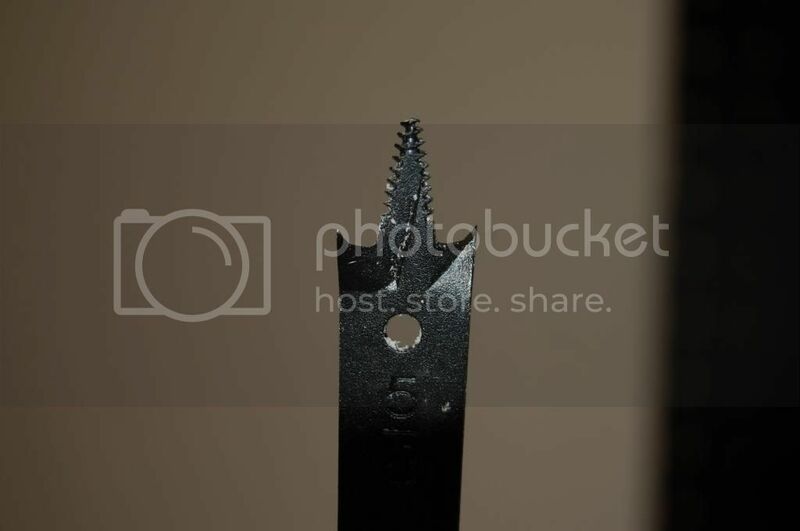 I too use a 5/8" drill bit, but the problem is that they freaking cost $18 at Home Depot. You can buy a set of spades for under $10. It wasn't worth it at first to throw out $18 just to drill out a couple inches of PVC then never really use it again. Reduced-diameter shank drills like that are generally called Silver and Deming drills. Shars has them for super cheap, and they're single piece high speed steel. Link They've also got a bunch of other super inexpensive tools that work great if you're not in a production shop, like taps and stuff (and a huge selection of endmills and lathe cutters for those of you with fancier tools). I'd just like to take this opportunity to say, in the field of unexpected plastic gripping, hole saws and spade bits can be insane when cutting into polycarb sheets, particularly right at the end, and more so if you're working with a smaller piece with less to hang onto. I've had my fair share of hand cuts from the sharp edge of freshly cut 1/4" polycarb this way. Kids, when possible, clamp your polycarb before using a large bit. When not possible, at least use thick gloves, and be ready to stop the drill. I'm the only respectable person here. The rest of the NIC are pretty much just child molesters.